Have you ever had a season where you feel like you do everything right, but the weather just doesn’t cooperate with you? Weather plays an important role in gardening. Vegetables and flowers aren’t going to grow without water and sunlight. 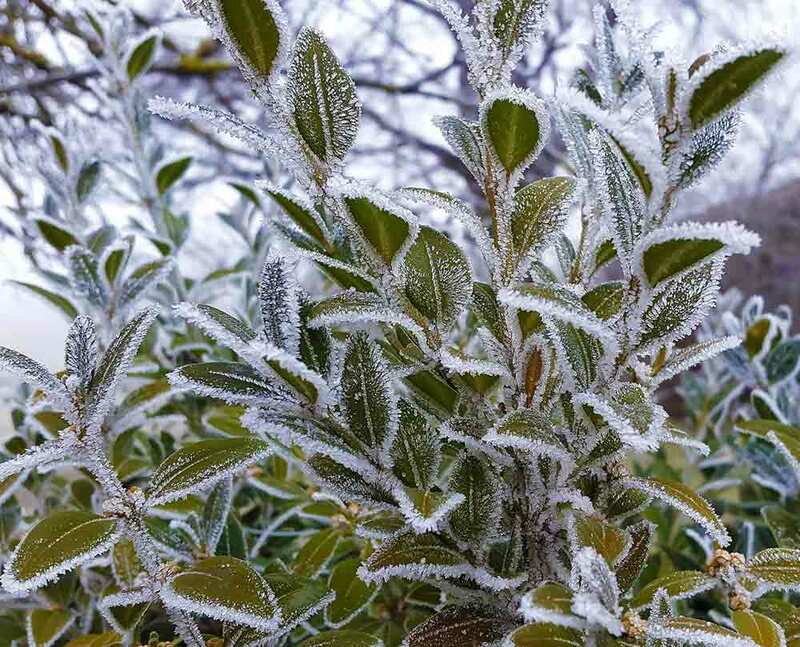 At the same time, high winds and frost can be devastating to some plants. With so much time and effort spent on your gardens, you should consider utilizing technology to your advantage. 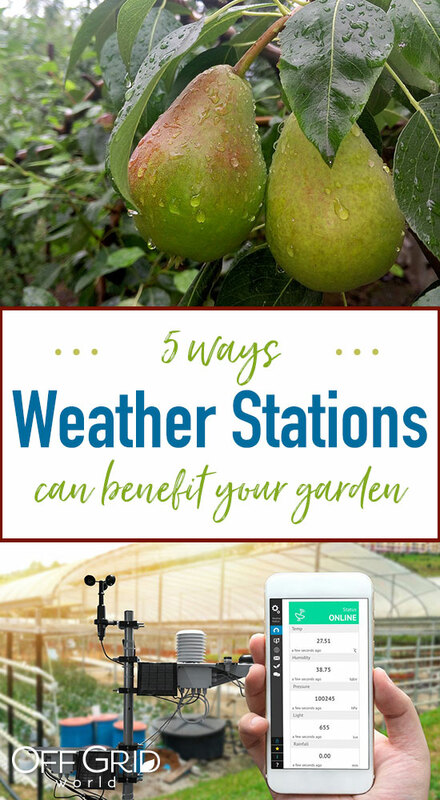 More specifically, home weather stations can provide great benefits to a garden, not to mention they’re fun and handy to have around for other reasons too. 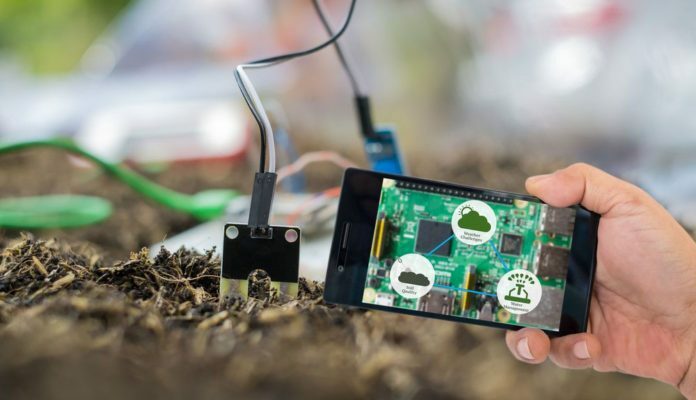 But how can a weather station actually help your garden? Here are 5 specific ways they can be used to ensure you make sound choices during the season. This is probably the most obvious, and most important, benefit home weather stations can have on your garden, lawn, and flowers. In most home weather stations, rain water is collected in a rain gauge and self-emptied once it’s measured. 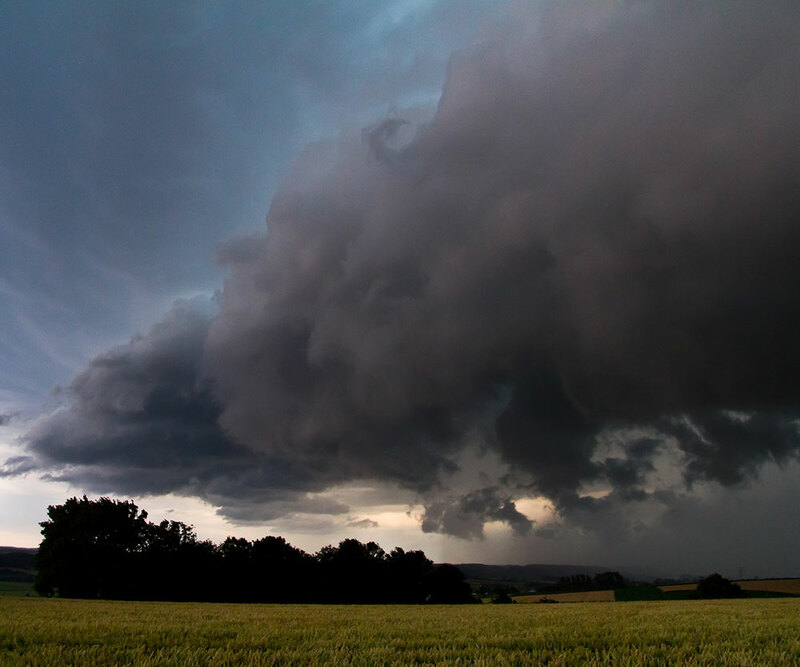 Weather data stored in the cloud can tell you when it rained last and how much you received. Some weather station models also have optional soil moisture sensors that can be utilized to know soil has the optimal water content. By knowing this information, you can make better decisions on when your garden needs a supplemental watering, and how much to water. Most models can store and graph up to a year’s worth of data, which should be more than enough. If you’re really savvy, you might be able to use the weather station to measure how much water you put on the garden when watering, too! We all know that weather has a great effect on our gardens, but often times, we’re not sure how to plan timing for planting, weed pulling, and harvesting. Let me give you a few examples. If it has rained over the past few days and the soil is still wet, it becomes compacted and the space that normally hold oxygen is gone. These present poor conditions for planting. The opposite is true for weeding, however. Wait a bit after a good rain so the soil is no longer muddy, but while it’s still wet and soft is a great opportunity to pull weeds with much less effort than usual. One final example is soil temperature sensors. Especially when it comes to early season planting or cold climate areas, being able to have soil temperature alerts notify you when conditions are best for germination are invaluable. Another great feature most new home weather stations include is a forecast. Of course, rather than the forecast covering the entire bi-state area and coming from 100 miles away at the nearest airport, it’s specific to your backyard. These forecasts can be very accurate for the next several hours to a couple days, making it much easier to decide whether you should pick early in the day or later in the day. By using the cloud storage and logging features in your weather station, you can confirm what’s worked in the past and what hasn’t. 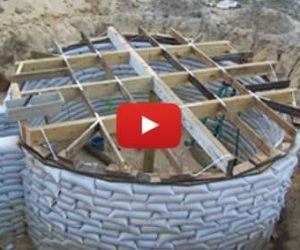 You’ll learn techniques and tricks that have proven to yield good results based on certain weather conditions. Many new models can log your weather data for up to a year or more, accessible via your PC from the cloud. Another great feature on a personal weather station is the capability to push notifications to your mobile phone. 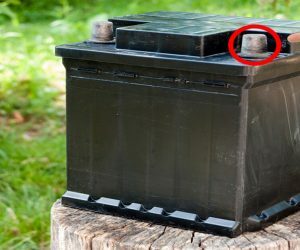 Of course, the benefit here is that you can set them so that you know immediately when temperatures approach the freezing point or winds reach damaging speeds. This would allow you to cover plants to avoid frost damage and bring potted plants into the garage if too windy. Obviously, there’s no guarantee that just because you have a weather station, you’ll be an expert gardener. But it’s another tool in your toolbox to making better decisions when it comes to the weather. There are lots of choices and feature/benefit sets that can make choosing a home weather station daunting. Here are a few tips that should simplify the process. 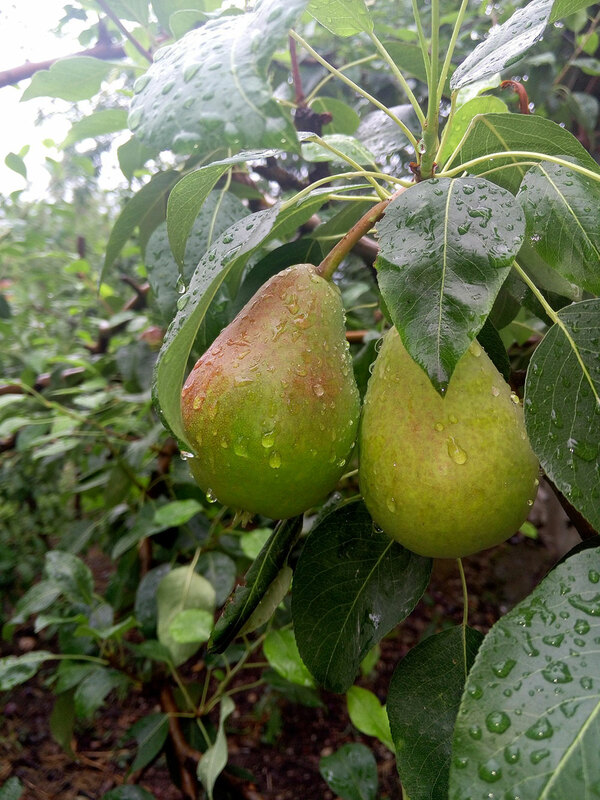 Temperature and water (precipitation) are going to be the most important factors in a garden. Thermometers and rain gauges are common instruments on home weather stations, along with sensors for relative humidity, barometric pressure, and wind speed and direction. Additional sensors that often come as option, if applicable, include leaf and soil moisture sensors, UV sensors, and solar radiation sensors. Many of the latest weather station models now include options for remotely monitoring your weather data that’s stored in the cloud. It’s often accessible via smartphone apps or through an internet browser on your PC. This can be a great feature if you’re wondering what’s happening at home when you’re away. It’s also a great way to use a weather station at a vacation home. When using this feature to upload weather data to the cloud, not only does it give you remote access, but it can log and graph your historical data. This can be great for using previous years’ data to plan out this year’s garden. 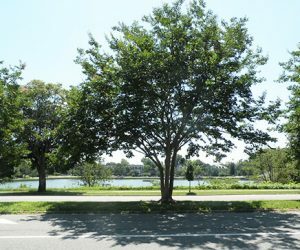 You can use this data to know which plants will thrive in your area based on average temperatures and rainfall, among other things. Basic weather stations with several of the instruments listed above start around $100-$200. Spending less than this will likely get you a poorly built model that will lack the features you need. More professional models with some of the optional sensors and data logging features from above can run between $500-$1000 or more. Knowing your budget and which features you need can ensure you don’t waste time researching models you can’t afford. As much as a weather station can benefit your garden, you shouldn’t take it too seriously. They are a great tool to improve your experience, but like mentioned above, it won’t make you the world’s best gardener. There is no reason to fret over the selection process. There are many great options available to consumers. As long as it fits your criteria from the tips outlined above, you’ll be fine. Not only will it assist you in gardening, but you’ll find it fun to use for other reasons. You’ll always know the temperature outside your home, and you can share links to your data with friends and family.